For a lot of guys, a diver is the default tool watch. The cases are usually fairly beefy, and that translates to masculine, the watches themselves are rugged, they serve a purpose, and they broadcast to the world that you are a man of action. 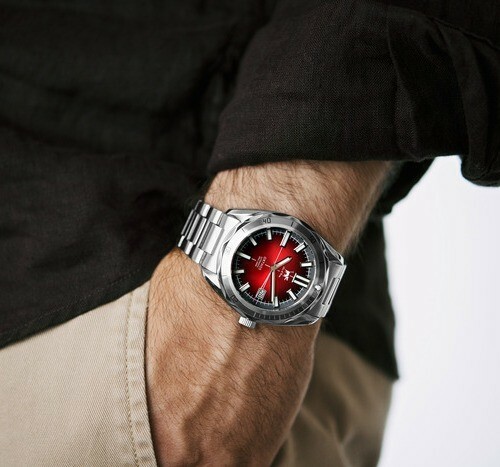 So you might as well inject a little style into the watch as well. That is where the Lew & Huey Orthos comes in with their latest Kickstarter campaign. These ‘friends of the site’ have put their fifth model up for sale, and the first true diver of the bunch. Like the previous watches from the brand, this one is an automatic, powered by a Seiko Calibre 4r36 (NH35), which is both haking and hand winding, with a 41 hour power reserve. The 42mm case and bracelet are done in brushed stainless, and there is a slightly domed sapphire crystal up front. 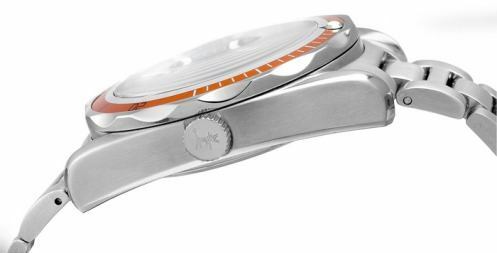 The watch offers 30 ATM (990 feet) or water resistance and a 120 click uni-directional bezel, so yes, this is a true diver’s watch. Not that you have to wear it diving. 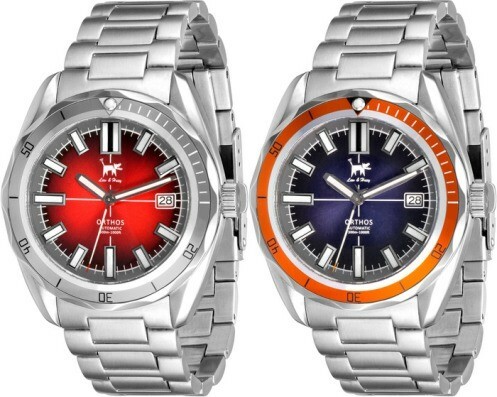 Visually, the dial is very attractive with both a color fade and a sunburst pattern. After reviewing their Acionna, I can attest that they make interesting dials that really pop in the sunlight. Who we think it might be for: Everyone needs a diver. Would I buy or recommend it just on the photos? : Yes, the brand delivers on their watches. If I could make one design suggestion, it would be: Expansion built into the clasp. What spoke to me the most about this watch: I like the color fade in the dial.